Here was my wedding checklist with some notes regarding some of the venues I picked. Feel free to use this as a guide for your own wedding. 1. Rehearsal Dinner - The groom's family usually pay for this. This was our case as well. 5. Cake - Included in Reception package. We picked our cake and flavors in June with Flour Power. Check with your venue if they include the cake as well. 6. Wedding Gown & Tux - Wedding Gown + Groom's tux cost us about $500 before alterations. 7. Decor & Flowers - We picked our flowers and signed the contract with the florist four months before my wedding. They were spectacular. His name is Daniel Hansberger if you're getting married in San Diego and would like a reference. 8 Gifts/Transportation/DJ Entertainment - Our DJ is Daniel and he was great if you need a reference. 10. Invitations - I ordered invitations from David's Bridals' website on July 4, 2012 with the goal to send the invitations by mid-Aug. I was happy with them so I suggest you look at the David's Bridal websites for the invitations before you go look somewhere else. I think it's a pretty good price range for the quality. 11. Party Favors - These cost me about $250 which includes us decorating them. 12. Bridesmaids' gifts/groomsmen gifts - Don't forget! 13. Hair and make up - Make sure you have your hair and make up trial before you agree on having that person do your hair and make-up. 14. Rehearsal Dinner invitations - Don't forget this! So, here we are, we call it investing in a night to remember so that we will have no regrets! After all, we are publicly celebrating our love and declaring our unity that day! Let's make it grand! Our first strategy to save money for the wedding is to shack up so we can save on rent. 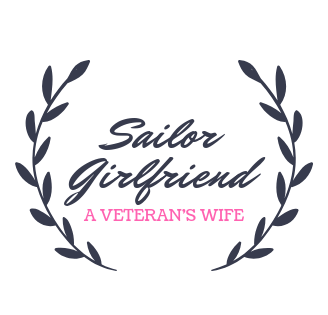 Since my husband was in the Navy, we checked out the navy bases for event options. They offered quite a few options for catering and if you're in the military, it is 10% off the tab and the service charge is 5% less so that is 15% service charge instead of 20%. It's a not a bad deal and you can have the ceremony there. Even if you're non-military, you can still have your events here. It would range between $500 - 750 to rent the outdoor space for the military. The negative thing is you can't hire outside caterers or bring outside food or beverage if you rent their space. You have to buy food and beverages there however they don't tax so you can actually save thousands with that. Another thought that we had was just rent a space some where and pick our own caterers and then have our friends help out with bartending. We found a banquet venue for a 6 hour rental which includes a dance floor, tables and 2 security guards for $1,800. It was cheap but it was far. Then, we figured it would be too much work for our visitors to try to find the event place at the military base since most of our friends and family are civilians, so we decided to not do it at the navy base either. Three weeks later, we're still researching to find the right venue for our wedding. My fiance actually have a lot of input on our wedding plans so it's nice that the burden is just not on me. We also looked at the Bahia in Mission Bay and Porto Vista. We were hoping our connections could help us lower the cost of the venue. It didn't. I suggest you look within your circle of friends to see if they have any catering or event planning hook ups because weddings are expensive to plan! We've narrowed it down to one place after being engaged for a month. We're having both the ceremony and reception at the Bahia, which I suggest many do if they are not religious. Their Saturdays were very limited so we decided to do it on a Sunday! The wedding package includes our reception, ceremony, cake, linens and chair covers with sash, and open bar cocktail hours. Because I went to the Bridal Bazaar, they also gave me a complimentary upgrade to our menu, which is great. We got married on Nov. 4, 2012. Our menu included 4 different hor d'erves, salad, filet migon with shrimp with potatoes and veggies with 2 desserts. Scroll down to see my menu cards and wedding cake. We discovered a DJ that lived in the same beach neighborhood as us. I discovered him from craigslist (services section) and realized he has also done some DJ'ing for well known clubs all over the country. Most importantly, he has a lot of experience with weddings as well. We met him at a local BBQ joint and signed that contract by the end of our meal. DJ Daniel, aka DJ Professor CC entertained our guests during the ceremony and reception. He's a true professional. Step 5: On June 8, 2012, (about 5 months before wedding) I picked my wedding coordinator to help with our event and dog. On June 8, 2012, I met up with a wedding coordinator who got my information from the Bridal Bazaar and I liked what I heard. I didn't budget in for this but it seems like a really good idea at the time. We're having our wonderful dog be our ring bearer and she agreed to have her team drive him to the daycare during the wedding day after our ceremony since dogs are not allowed in the ballroom where our reception is (sadly). She will have a team of 2 or 3. I like that. I just pay another $125 and I get another person instead of using the Bahia's one day coordinator for $500. That's really expensive. Our wedding coordinator was also there for our rehearsal to make sure our line up was right. She did the job but I didn't think she was excellent. Her name is Bethanie Black if you want to look her up. A lot of people told me later that I overpaid for a wedding coordinator. We tasted 13 different cakes and were allowed to choose up to 4 different flavors for our cake that came with our package with the Bahia. We picked a yummy beach themed cake. James, who we met with for the tasting, was so welcoming and helpful. This was our actual cake on our wedding day below. It had edible seashells and clams and matched our wedding theme so well. Our venue was located right by the water and beach. Step 7: On July 10, 2012, we met with our florist who was contracted with the Bahia in our package to do our floral spray for the ceremony and put petals down the aisle. I liked him so much, I hired him for and all of the bouquets, boutineres and reception centerpieces! Scroll down to see my floral spray and center pieces! They were fantastic! Step 8: On July 23, 2012, we picked our officiant, Cindie, who wonderfully performed our outdoor ceremony. She's a supporter of our military men and women and I highly recommend her! Cindie's website is: www.ceremoniesbycindie.com. Step 9: On August 1, 2012 (about 3 months before wedding date), I followed up with another potential florist vendor for my reception center pieces before signing a contract, just to make sure I picked the right vendor. Step 10: On August 1, I also finished collecting my last address to mail out my invitations around mid-Aug. On July 14, 2012, I started calling my cousins to get their addresses. My mom and I agreed that we would do a split research so my mom would send out invitations to my Aunts and Uncles, while I would send them out to my cousins and my friends. We invited around 220 guests using the 70 - 75% rule that only 75% will be able to attend. That means about 154 - 165 people would be expected to attend. The math was right. I had 155 guests! It really depends on how many of your guests are out of towners. This percentage can be higher if you have a lot of local guests. We had a lot of out-of-state family members. Step 11: On Aug. 10, 2012 (3 months before wedding date), I signed the official contract with my florist, Daniel Hansberger to do my all bouquets and center pieces, ceremony flowers for the wedding. I'm so ecstatic! They turned out great and better than many other weddings for an appropriate price. He also did me a favor and took down my floral spray that we used for the ceremony and put it on the sweetheart table. So it was very useful! It was beautiful. 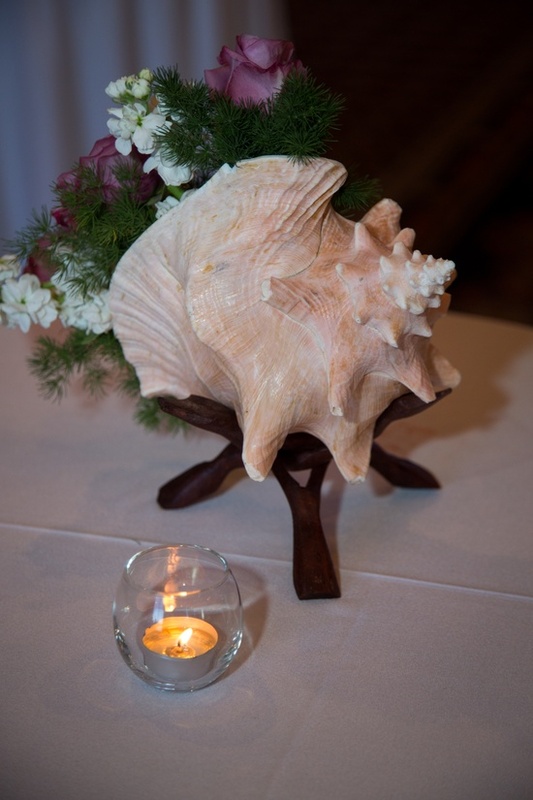 Here is the beach themed centerpiece we came up with together for the reception. My florist luckily had real seashells we put the fresh flowers in so I was able to just rent the seashells. Above is the floral spray that was used on the gazebo where we got married and then put on top of the sweetheart table during the reception. My florist did a wonderful job and we got many compliments. It matched our bouquets and our centerpieces as well. Step 12: Between Aug. 6 - Aug. 15, 2012 (2.5 months before wedding) is the mailing and sending of invitations so the out of town guests can start planning their travels and have time to respond back. See blog section for my invitation piece. Step 13: On Aug. 16, 2012, we had our engagement photos taken by David Howell Photography. They were taken 1 block from our home at the time, which meant the beach! Till this day, we still get compliments of our engagement photos. Step 14: On Aug. 27, 2012, we picked up the groom's tux and 6 groomsmen suits. We ordered these 2 weeks ago and we're getting the tux sized. We were trying to find the most reasonable suits for them to keep so they only cost $100 each for each groomsman. (By the way, my bridal party threw me a bachelorette and bridal shower weekend on Aug. 24-26, 2012 in Coronado at the Hotel Del and downtown. They were very, very sweet and I am very, very lucky! They spent a boat load of money on it for me. Step 15: On Sept. 7, 2012 (2 month count down), we received our engagement photos from David Howell Photography on a disc via mail. They turned out excellent! Sept 16: On Sept. 25, 2012, I had my first fitting for the wedding dress at David's Bridal. It will be ready to try on/pick up on Oct. 24, 2012 (1.5 weeks before my wedding). Diet time! Step 17: On October 4, 2012: 1 Month Countdown! We mailed out rehearsal dinner invitations to our bridal party and out of town guests. See my designs in the blog section that I used. Here is the design just for the bridal party which included the rehearsal time/place and rehearsal dinner time/place. The out of towners who are not in my bridal party gets a different piece. Step 18: On October 5, 2012: Receive BEO from the hotel for the ceremony and reception set-up. Step 20: On October 7, 2012: Party Favors decoration One of my bridesmaids came over to help me with tying ribbons on party favors. Step 21: October 9: Designed and ordered my menu cards. This actually took me a lot of time to do. I also created stickers for the kid's menu. Step 23: October 25: 10 day countdown! My wedding coordinator called me for last minute details. She helped me with the order of walking down the aisle, calling Bahia about water station at ceremony, gift table at the ceremony and for the Pet Taxi's name. I highly suggest having a wedding coordinator to help you with these details! Step 24: October 28: 7 day countdown! We created welcome bags for out of town guests staying in hotels where snacks are hard to reach. See more pictures of the welcome bags I created here. Here are the welcome bags I customized with an itinerary with healthy snacks and drinks for out of town guests so their stay is more comfortable. Step 25: Nov. 1: 3 day countdown! One of my bridesmaids helped me with writing names down on place cards and finalizing seating chart. We had assigned seating so that is why we did this. Step 26: Nov. 3: 1 day countdown! Rehearsal at 3pm and Rehearsal Dinner hosted by my in laws at 6pm. It turned out fantastic. The food was great, my mother in law decorated wonderfully and she planned surprised games! It was memorable. Step 27: Nov. 4: Wedding Day! What a rush! It was fantastic! One of the best days of my life! Success with little drama! Have fun planning your wedding day. Picking your bridal party can be stressful. Agree on a certain number in your party before you start thinking of names and who you want in your party. 1. Are they trustworthy, reliable and organized? 2. Have they been there for you through tough times and always try to connect with you throughout the years? 3. Do they always care about your well-being and have been a true friend? Do they ask how you're doing or do they always mainly want to talk about themselves? 5. Do they understand you to the core and do you feel the same? I have decided on having a maid of honor and a matron of honor for my party. I used the first two people I thought of when people started asking me this. I didn't know it at the time but those thoughts are my gut instincts. Some brides just have one while others have two. We had 7 months of planning and it was just enough time! Check out the wedding checklist that's also on this page and the actual steps I took to complete my to-do list by date/order. 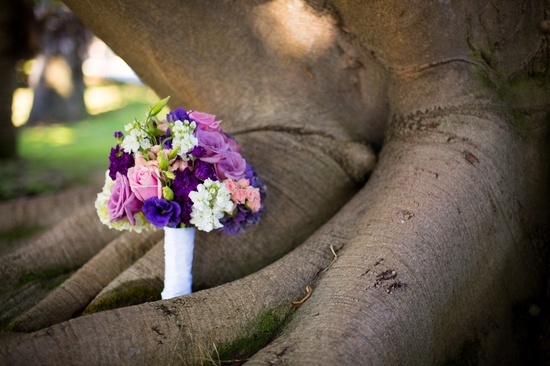 My bridal bouquet picture is below. It was vibrant and beautiful. I asked him (the florist) to do groupings instead of making it symmetrical and it was well worth the creativity! We had beach-themed decorations and this tree was literally within 5 yards from the water.